For driving and driving offenses, Hilf & Hilf, PLC provides professional reliable representation for those in Detroit and the metro-Detroit area. Attorney Daniel Hilf, and lawyers at the law offices of Hilf & Hilf, PLC have successfully fought Michigan drunk driving cases for countless individuals in Wayne county, Oakland county, and Macomb county. With Hilf and Hilf on your side, you can be assured your voice will be heard. Our attorneys have a solid reputation for powerful legal representation, experienced OUI litigation ability, and a fearless attitude. Lawyers that want you to obtain a great results, and who will work toward that end. OUI convictions can result in a wide range of steep penalties, including jail or prison time, probation with tough conditions, high fines and costs, sanctions to your driver’s license, and seizure of property. It’s important that you seek the counsel of retained lawyer who can guide you through each aspect of the legal process. 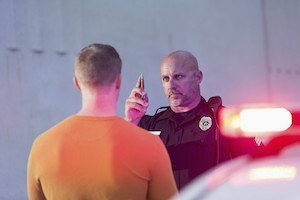 Attorney Hilf can help you protect your rights and work tirelessly to help you resolve your OUI offense in the best possible manner through trial, evidentiary hearing, or resolution. With the high consequences that you will face for OUI, you need OUI expert to represent you in Court. By hiring attorney Hilf & Hilf, PLC's Daniel Hilf to be your OUI attorney, you are assuring yourself of quality representation. from a respected lawyer. Call Hilf & Hilf today to discuss your OUI case.